When Miftah sahib accepted the challenge, he probably didn't think it through. If had, he'd know that he is on a slippery ground. So when is the show? The ball is in Asad Umer's court now. After the come on air please upload on daily motion too. Miftah, Ahsan, and Shahid Khaqaan are probably the only decent people in PMLN but highly compromised through their corrupt practices! PMLN should be thankful to Miftah that he pushed the inevitable bankruptcy from their fifth year of government to the first year of next government by immediately devaluing PKR by 20-25% when he resumed office! Looking forward to seeing how he will defend Ishaq Dar's blunders! First : Asad Umer never challenge to sit with Muftah after becoming Minister. Second: Asad Umer only asked in Kashif Abbasi show that ask Miftah to come on TV and tell International Forex reserve amount at end of PMLN tenure. Why PmLn FM minister ran away in his own govt ???? If everything going well then why ran away ???? This thread may be from Ferrari cell, Mifta won’t come in front of Asad Umer. Mifta May come alone or with other minister or so called leaders but not with ASad Umer. Reality is Ishaq Dar and Miftah Ismail are hugely superior and better economists than Asad Omar. But they're corrupt to their core and used their skills for haram. Because Asad Omar is allegedly honest and free from corruption yet look at the condition of the economy he has put in that even a homeless beggar could do a better job of. And Asad Omar himself admits Ishaq Dar artificially kept the country economy better and dollar prices under check. Now that is some genius stuff that Asad Omar can't do. So yeah Asad Omar must be shitting his pants. Even his brother Zubair criticises Asad and publicly spoken what a joke Asad Omar is. But this is common with PTI ministers. They're incompetent but honest. Or maybe they're corrupt too we just don't know yet. We didn't know how corrupt pmln ministers were decades ago. Previous governments corruption was azaab for people, this governments honesty has become an azaab for people. bhai kon sa sasta nasha start ker dea hai ? who is Usman Dar? Reality is Usman Dar and Miftah Ismail are hugely superior and better economists than Asad Omar. But they're corrupt to their core and used their skills for haram. And Asad Omar himself admits Usman Dar artificially kept the country economy better and dollar prices under check. Now that is some genius stuff that Asad Omar can't do. 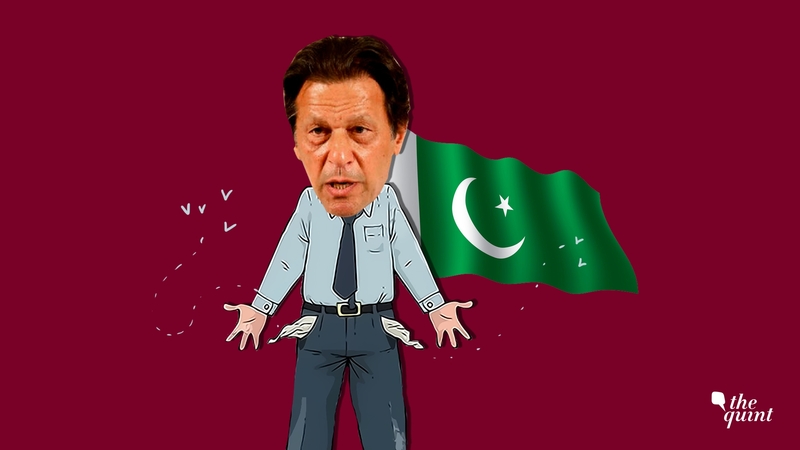 Why Is Pakistan Going Bankrupt? Laden with Chinese loans and with an America that’s taken a hard line on terror funding, Pakistan is almost broke. Miftah is a Ph.D degree in public finance and political economy from the Wharton School, University of Pennsylvania. Asad Umer is only an MBA. 1- LNG case is political motivated. 2- You shared a link in to praise Asad Umer but it says Asad Umer devalued currency for times massivly, failed to collect taxes, failed to increase exports and bashing of CPEC. This is the best you can do? ?